Definition: Purpura, also called blood spots or skin hemorrhages refers to purple-colored spots that are most recognizable on the skin. The spots may also appear on organs or mucous membranes, including the membranes on the inside of the mouth. It occurs when small blood vessels burst, causing blood to pool under the skin. Other terms for purpura may be ‘blood spots’ or ‘skin hemorrhages’ – these names provide some clues as to what causes these blotches to occur in the first place. Purpura spots are generally benign but may indicate a more serious medical condition, such as a blood clotting disorder. The spots are caused by bleeding underneath the skin secondary to platelet disorders, vascular disorders, coagulation disorders, or other causes. They measure 0.3–1 cm (3–10 mm), whereas petechiae measure less than 3 mm, and ecchymoses greater than 1 cm. Purpura is common with typhus and can be present with meningitis caused by meningococci or septicemia. In particular, meningococcus (Neisseria meningitidis), a Gram-negative diplococcus organism, releases endotoxin when it lyses. Endotoxin activates the Hageman factor (clotting factor XII), which causes disseminated intravascular coagulation (DIC). Causes, Sign, and Symptom of Purpura: Purpura is caused by blood vessels bursting close to the skin’s surface and blood pools, making spots visible externally. There are two types of purpura: nonthrombocytopenic and thrombocytopenic purpura. The specific causes of purpura can be different based on which type of purpura the patient has. The main symptom of purpura is a purplish-red rash just beneath the skin’s surface. The rash can appear anywhere on the body, including on mucous membranes such as the lining of the mouth. The symptoms that sometimes accompany purpura can help identify its cause. The word purpura (/ˈpɜːrpɜːrə/) comes from Latin purpura, “purple”, which came from ancient Greek πορφύρα. Purpura is a mass noun naming the condition or state, not the name of an individual spot (thus there is no *pupurum, *purpura or *purpura, *purpurae count declension). Diagnosis and Treatment of Purpura: The doctor will examine the patient’s skin to diagnose purpura. They may ask about the patient’s family and personal health history, such as when the spots first appeared. The doctor may also perform a biopsy of the skin in addition to blood and platelet count tests. Purpura can affect both children and adults. Children may develop it after a viral infection and can usually recover completely without any intervention. Most children with thrombocytopenic purpura fully recover within several months of the disorder’s onset. However, in adults, the causes of purpura are usually chronic and require treatment to help manage symptoms and keep platelet counts within a healthy range. Doctors may also perform other tests based on the patient’s symptoms and the suspected diagnosis. Doctors may recommend non-steroidal anti-inflammatory drugs (NSAIDS) to reduce inflammation and pain. 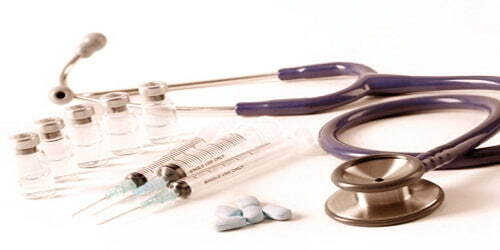 Steroid treatment can reduce kidney damage and abdominal pain. If kidney damage is severe, doctors may prescribe drugs to suppress the immune system.